As the EC or the European Commission levied a hefty $2.7 billion on Google various illegitimate practices, light was thrown on the different engines for comparison shopping which have lost its value for the last few years as users have only used Google for browsing products. The EC also said that Google’s placement of ads related to shopping, also called PLAs or Product Listing Ads bars the other comparison shopping sites from obtaining click traffic and they said that Google should take some immediate steps to make this place fairer for its competitors. While discussing about this, much has been made of the possible harm that can be caused to comparison shopping engines from the current page layout of Google. But there is very little focus to be paid on advertisers who pay for Google Shopping listings. Let’s check out the effects of the present decision on the retailers. The median retailer took benefit of Google Shopping and it saw the highest share of all website orders which attributed to PLAs in 2017 June, at over 14%. During the beginning of 2015, the share was only 5% and it is pretty clear that Google Shopping is something that is more vital than what it was ever before. Although this data is US-specific, it implies the type of growth which is even observed in Europe. 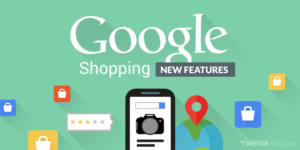 These days, advertisers depend a lot on Google Shopping to drive the users to their products and they have given considerable effort for optimizing their campaigns on Google Shopping throughout the years. In case Google was asked to eliminate Shopping ads on search engine results, advertisers would lose a considerable share of site orders. Any worthwhile adjustment to the search results to increase the chances that the searchers will go to a conventional CSE than use Google Shopping will help CSEs make money as most of them are ad aggregators. The advertisers are only engaged in paying CSEs for the clicks that they have on the ads of the products which are given on the CSE websites. This clearly implies that the ad revenue would shift from Google to CSEs where advertisers will keep paying the bill. On the other hand, conventional CSEs lag Google considerably in terms of reporting and management tools which they can offer advertisers. Bidding systems for Connexity and eBay, the 2 biggest conventional CSEs which are still operating in the US have made enough progress in the last few years. If Shopping ads are done away with, would searchers shift to Amazon from Google? The EC issued its ruling with the knowledge that Google click traffic would move back to CSEs but would the users actually wish to click on a separate website to browse for products after they’ve completed a search on Google? Or would they entirely shift to a site called Amazon when this happens? This is the main argument which Google made in reply to the European Commission ruling. Amazon is not so dominant in Europe as it is in the US but it is striving hard to expand its presence there. Keeping in mind how fast the e-commerce giant grew in America, it isn’t tough to believe that the same can happen in Europe again. There are many good reasons behind Amazon succeeding in wherever it goes. Studies reveal that more than half of the searchers and shoppers in the US start shopping by searching on Amazon. We can’t deny the fact that Google Shopping is one of the biggest sources of traffic and order for majority of the retailers. The retailers which depend on Google ad traffic are the few vital stakeholders in the ecosystem of Google Shopping.